Did you catch it? I didn’t. One of the most significant changes in the Book of Discipline at the 2016 General Conference went unnoticed by many United Methodists, even those who were delegates. Hidden deep in the consent calendar, and as part of the duties of elders and licensed pastors, paragraph 340.2.c(2)(c) was amended to read, “To provide leadership for the funding ministry of the congregation. To ensure membership care including compliance with charitable giving documentation requirements and to provide appropriate pastoral care, the pastor, in cooperation with the financial secretary, shall have access to and responsibility for professional stewardship of congregational giving records.” This change, which did not require a vote on the floor of General Conference because it was passed by a wide majority, becomes effective on January 1, 2017. Money makes the world go around; It makes the world go ‘round. I still remember this song vividly, forty-three years after Liza Minelli and Joel Grey sang it in the movie version of the musical Cabaret. 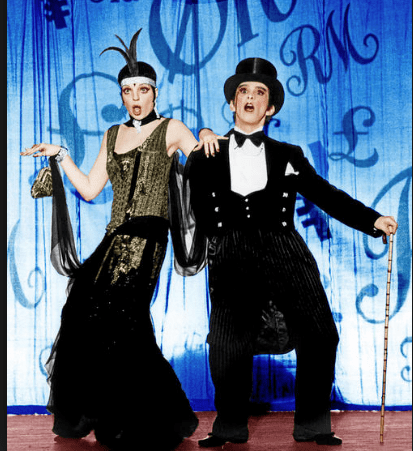 Cabaret was set in Berlin, Germany, the city in which I was living at the time. Money is necessary for human life, and how we ensure that all people have enough money to meet basic human necessities and live a full life continues to be one of the most complex challenges in our world today. Jesus continually talked about money and reserved some of his harshest words for those who cling to what they have and refuse to share. Tithing, or offering 10% of one’s income/harvest to the Lord, is the biblical standard of giving. I have always taught percentage giving and have encouraged church members to strive toward the goal of tithing their income. It is a spiritual discipline that Gary and I have practiced from the very beginning of our ministry. By automatically giving 10% of every paycheck to the church, we have never felt deprived, even when we were young and new to the ministry. The apostle Paul also reminds us that each one of us has been given gifts that are to be used in the service of Christ. In his letter to the Galatians, Paul describes the gifts of the Spirit as love, joy, peace, patience, kindness, generosity, faithfulness, gentleness, and self-control. 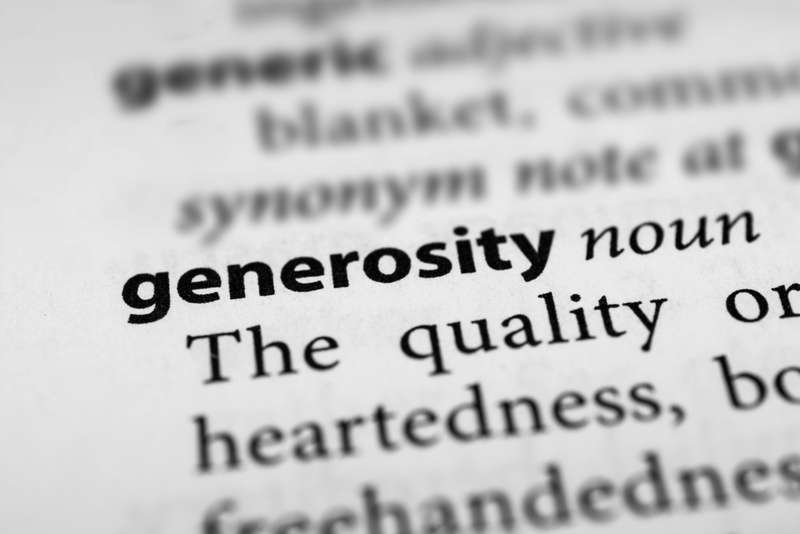 Generosity is a spiritual gift that is given to all Christians, no matter what our income is. Yet most congregations have individuals with the financial resources to contribute to mission and ministry in a more significant way. The challenge is that until now most clergy have not had access to giving records and are therefore hindered from fulfilling their stewardship responsibilities. I applaud the disciplinary change for three primary reasons. Clergy work faithfully to help church members discover their unique spiritual gifts and use them to share God’s love and change lives. Access to giving records enables clergy to invite those who have the capacity, to make lead gifts for building and debt reduction programs, missions and new ministry initiatives. The reality is that almost every other non-profit organization has detailed profiles on their givers and is constantly making asks. I am convinced that many potential large givers in the church are eager to share their financial resources and are just waiting to be invited to give. However, clergy cannot ask if we do not know. Access to giving records enhances pastoral care. If an individual’s giving suddenly decreases, it could be an indicator of illness, unemployment, retirement changes or other personal issues. A sensitive and concerned pastoral call to someone whose faithful giving patterns have changed could provide significant care. Leaders of key positions in United Methodist churches are called to model faithfulness in their financial giving as well as in their spiritual lives. It is important that committee chairpersons and members of the Finance Committee be generous givers in proportion to their income. If our leaders do not model faithful giving, how can they inspire and encourage others to give? I also offer three caveats for clergy. If you believe that knowing what church members give will compromise your ability to minister effectively to all people in your congregation, then follow your heart and do not access that information. We are called to treat each person with grace, compassion and fairness, no matter how much they are able to give. You will be unable to effectively lead in stewardship if you do not practice what you preach. If you urge congregation members to move toward percentage giving but are not moving in that direction yourself, people will sense that and be reluctant to trust you in other matters. Your personal financial contributions must align with what you expect from others in order for your ministry to have integrity. The professional ministry is not a well-paid profession, and many clergy struggle with their personal finances, including the repayment of student loans for college and seminary. If your family is in financial distress in a way that seriously affects your ministry, please seek help. My hope is that all seminaries will requires classes that include personal finances and stewardship. And your coat’s thin as paper And you look thirty pounds Underweight. At the window… Who’s there? … Hunger! … Ooh, hunger! See how love flies out the door… For Money makes the world… Go around. In the end, it’s not money itself that will make the world or the church go around. Nor is it glib words of advice to “love evermore” without acting. That kind of love will fly right out the door. No, it is people of deep faith and gratitude who bring in God’s reign by offering their gifts to feed the hungry, clothe the naked, visit the prisoner, and love the very least of God’s children. Thanks be to God for the countless women, men, and children who make the church go around by their generosity and willingness to offer all that they have and are to God. I give 10% and more. My salary is small as I am on disability. But when I have needed help in my time of need, the church has assisted me in many ways; on weeks that I can, I give more than my 10%. I think that the giving moves me inside, filling me with the Holy Spirit. We, as Christians, are comanded to do this. I look at it as if not giving is not an option. Once again, Laurie has written a beautiful and thought provoking blog. I will always give my 10% and then some.